Of the decisions you’ll make when designing or remodeling your home, picking the right floors for your lifestyle is important. 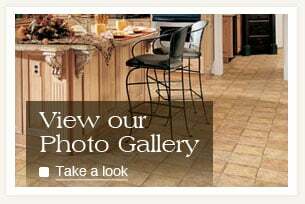 The floor you choose can serve as the inspiration for the other design features of a room. It’s the foundation of interior design. Given that you’ll walk on the floors of your house everyday-- and therefore getting the most wear and tear-- there’s only a little pressure on your decision! The design professionals at Lake Hallie Cabinets & Design are armed and ready with knowledge of the latest home design trends to help you make an educated and confident choice. Whether you’re looking for hardwood flooring in Eau Claire, or your Lake Hallie home is in need of new carpet or laminate flooring, we bring our design and contracting services to homeowners in western Wisconsin. Stop by our showroom and we’ll assist you in making this big decision! The beautiful thing about designing your home is that there are so many options available to you, especially when it comes to flooring. Sometimes there are too many choices. When you stop by the Lake Hallie Cabinets & Design showroom, we’ll pair you with one of our interior design experts to help make that choice a little easier. From hardwood and cork floors, to tile and carpet, Lake Hallie Cabinets & Design carries it all!